On Sale for the Special Introductory Price of $7.97! 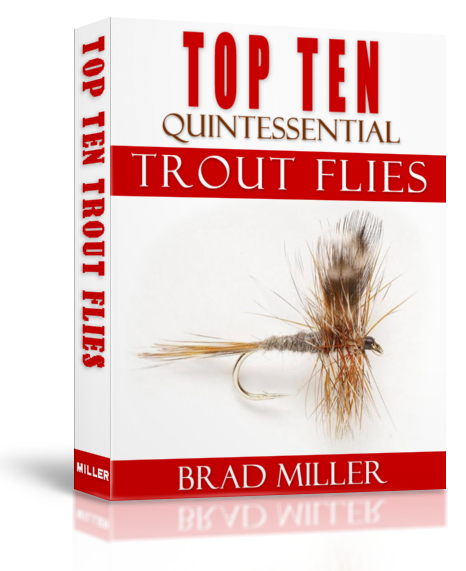 This new book covers the rich history and pattern development of the top ten trout flies ever created. The stories behind these patterns are fascinating, as are the fly tyers who created these great patterns. The top ten trout flies list was gleaned from several of the top fly distributors in the U.S. and include MUST HAVE patterns in any trout fisherman's vest. The book includes dry flies, nymphs, streamers and terrestrial patterns that have passed the test of time. The current standard fly tying materials are given, including suggested hook types in many cases, to ensure you tie the flies just like the creative geniuses that gave rise to these patterns. With the flies presented in this book, any fly fisherman, anywhere, can succeed in catching more fish - more often.